Serve in a beautiful decanter at parties. Make it with or without alcohol. Make it healthy with only fresh fruit and chia seeds. 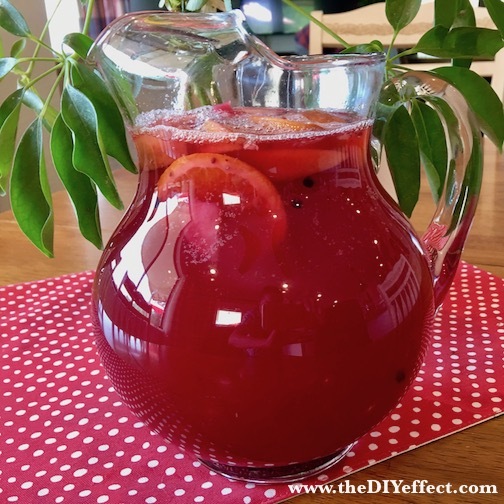 Make a large decanter, a pitcher or a glass of Sangria. Set up a Sangria station at your next party. 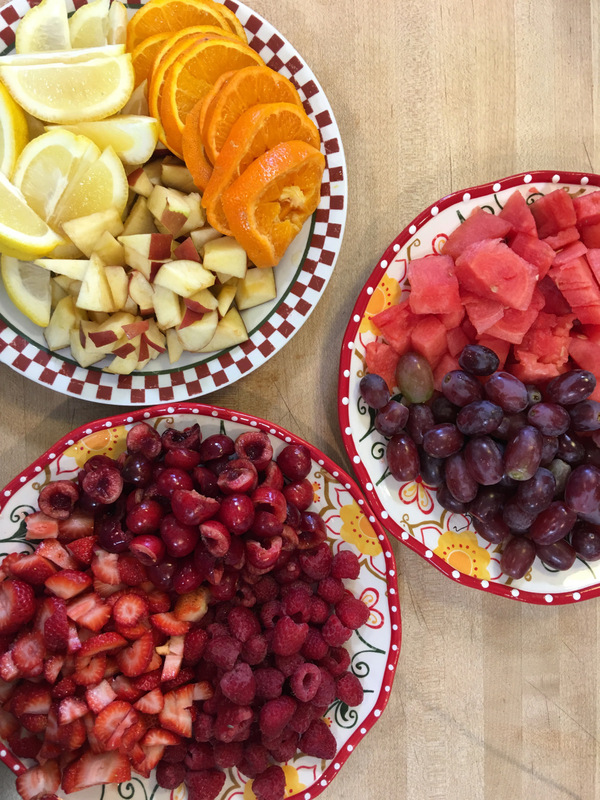 Below: For our parties we usually like to have a Sangria station. This one is on our kitchen island. We've done them outside on the deck too. We start with an old box to lift the dispensers and allow space for the glass under the spout. The larger sangria dispenser on the left has alcohol and the one on the right has no alcohol. Basically the same Sangria without the alcohol and chia seeds added. Make sure the seeds flow through the spout or be prepared to use a ladle. This one worked fine. 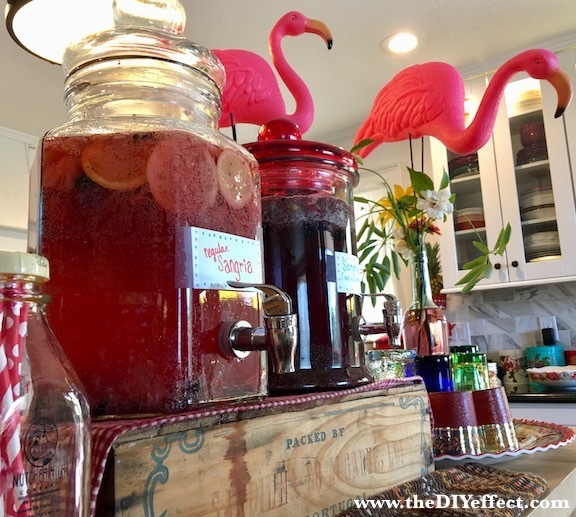 Also set out several tall colorful glasses, straws, and for decor, flowers from the yard in tall empty wine bottles with food coloring and flamingos. See the Party DIY'S video for more details. 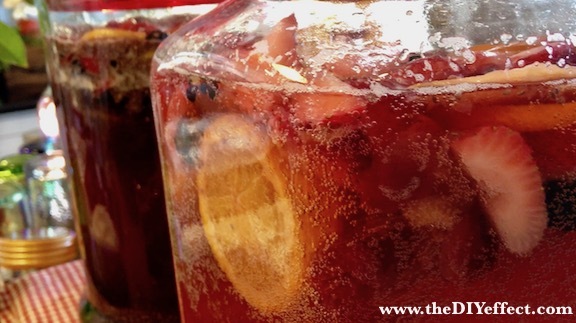 This Sangria Recipe is delish! Even better when made at least 24hrs in advance. Even 48 or 72 hours is delicious. We’ve done it all, and it definitely gets better with time. Since no ice is added, it is important to keep all ingredients refrigerated. It keeps for at least a week depending on how ripe the fruit is to start. 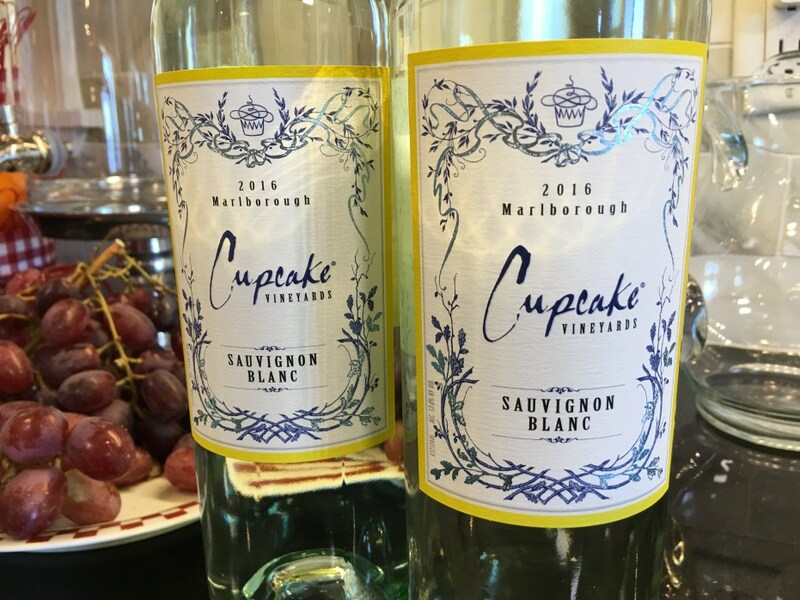 Check the recipes at the bottom of the page for other options, such as non-alcohol, smaller quantities, and just about any fruit, soda, and liquor combination you can think of. Important tips: Keep all the ingredients cold without adding any ice. Only add ice to the Sangria if you want it watered down. Best to add ice to the glass or make sure the Sangria is real cold. 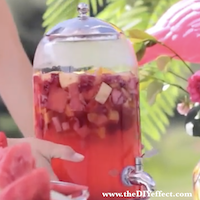 Whether serving in a punch bowl, or a dispenser, make sure to have a ladle handy for scooping fruit into the glasses. 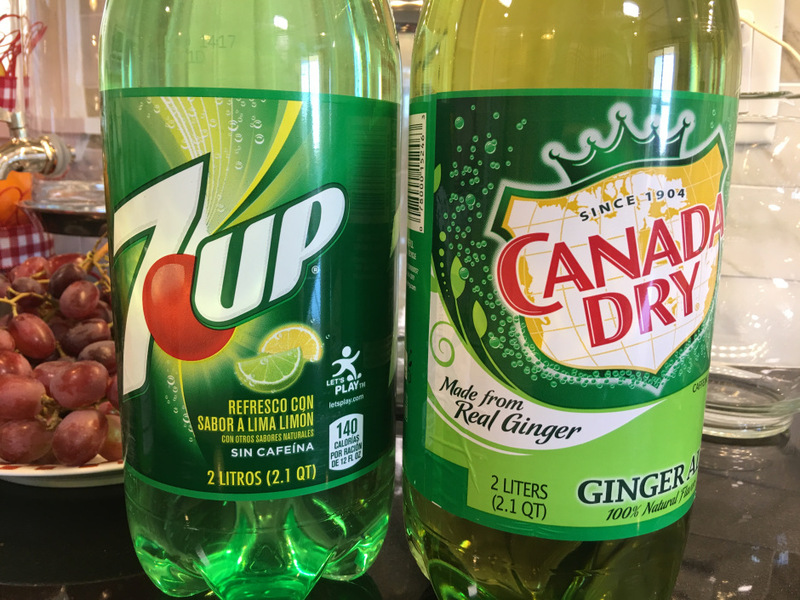 Just before serving, add two 2-liter bottles of Club Soda, and two 2-liter bottles of 7-up. You can also use other carbonated drinks too. Stir and serve. 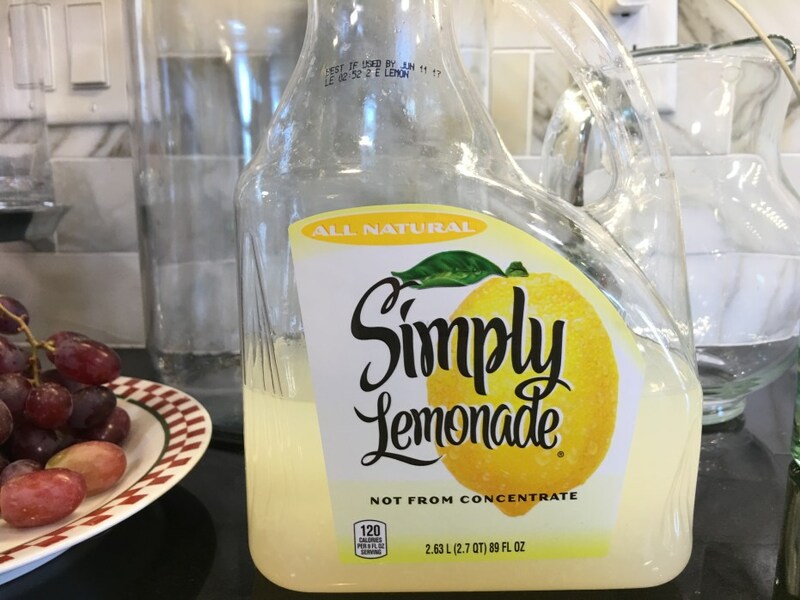 Other quantity options Although our recipe is party-size, it’s easy to make a smaller quantity by adjusting fruit, wine and soda quantities down to pitcher-size or even glass-size. Fill a quarter of the glass or pitcher with your favorite fruits. Then split the rest 50-50 with wine and soda. Of course adjust to your liking. Add the soda last. Serve in a festive glass and you’ve got a special drink! Non-Alcohol Sangria Recipe Just leave out the wine, and add a favorite juice in its place. White Sangria: Use only white fruits and white wine. Pink Sangria: White wine & red & white fruits. Red Sangria: Use Red wine and any fruit including red. Red wine, brandy,orange juice, fruit and club soda. Red wine, brandy, sparkling water, liqueur, Club soda and fruit. White wine, vodka (flavored or not), fruit, and 7 up. In Closing The possibilities are endless. There are so many delicious combinations. Try experimenting on a small scale first and if you like it, serve at your next gathering along with a non-alcoholic option. History The term sangria dates to the 18th century. It’s generally believed to have been taken from the Spanish sangre (blood), in reference to the red color of the drink; some believe, however, that the word comes from Sanskrit via the Urdu sakkari (sugared wine). Early versions started in Spain, England, and Greece, where it was and still is a very famous and popular drink.